The wait is finally over—OTA files and factory images are going live for the first public Android Q beta. If you’re the lucky owner of a Google Pixel, Google Pixel XL, Google Pixel 2, Google Pixel 2 XL, Google Pixel 3, or Google Pixel 3 XL (yes – all three Pixel generations are being supported), then you have the opportunity to test the next major Android version right now by either flashing the update manually or enrolling in the beta and receiving the update over the air. Android 10 Q brings a number of new feature additions including a system-wide dark mode and a revamp in permission management. The first beta release is available today while the final release is expected to land in early August. Keep in mind that this first preview is aimed at developers. Google gives developers the chance to test their apps against new Android platform APIs months before the next Android version becomes available for the general public. This first release won’t have all the new software features you’ll come to associate with Android Q. Google will likely unveil a bunch of new features at Google I/O 2019 which starts May 7th. 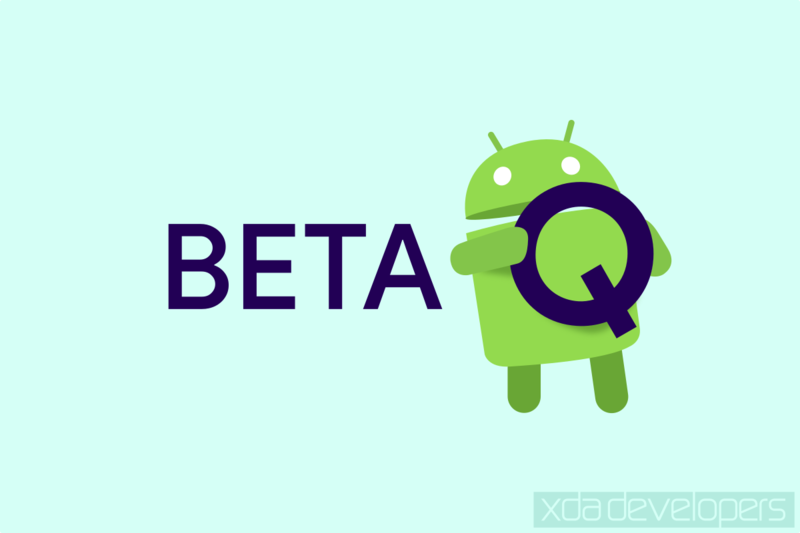 We’ll of course be extensively covering Android Q, because we know our readers can’t wait to get their hands on an official release or a custom ROM. For now, though, Google Pixel 2 and Google Pixel 3 users can enjoy the release before anyone else. You can download the OTA image files to directly update from the latest March 2019 security patch release for the Pixel 2, Pixel 2 XL, Pixel 3, and Pixel 3 XL. If you have an unlocked bootloader and have modified the boot image to install TWRP or Magisk, you’ll need to flash the factory image file. General instructions on how to do so can be found in the next section. Be sure to join the forums for the Pixel, Pixel 2, and Pixel 3 devices if you’re interested in discussing the Android Q releases. If you install the update and notice something new that we haven’t already found, send us a tip and you could get a free month of XDA Ad-Free if we write an article based on your tip! Also if you install the update, be sure to check out the feedback and bug report page. Google is also monitoring a new subreddit on Reddit for feedback. If your device is rooted or you’ve made any changes to the system or vendor partitions, you’ll need to install Android Q using a factory image. If you haven’t unlocked the bootloader yet and are on the latest Android Pie release, then you can sideload the OTA to save some time. Before you begin, set up ADB and Fastboot by following this tutorial. Download the right OTA file for your device from the table above. With your phone booted into Android and plugged into your PC, open a command prompt or terminal window in the same directory where you stored the ADB binary. where “ota_file.zip” is the name of the OTA file you downloaded in step 1. Reboot the phone by choosing the “reboot system now” option. Download the Android Q factory image for your device from one of the links in the table above. Extract the factory image file. In the folder, you’ll see a bootloader image, a radio image, a zip file, one Windows batch file, and two .sh script files. If you don’t care about wiping all your data and just want to update right away, then go ahead and double click on flash-all.bat if you’re on Windows or flash-all.sh if you’re on macOS/Linux (after making it executable). If you want to flash the factory image without wiping your data, then edit the flash-all.bat script (Windows) or flash-all.sh script (macOS/Linux) in a text editor and remove the “-w” command from the “fastboot -w update” line. Then, you can proceed to start the flash-all script. If you want to see screenshots of each step, this guide will help you. Although it was written to help users flash monthly security patch updates, the steps are the same to flash a major Android release. Android Q, here we come!